Another Facebook swap from earlier this year... Again, I don't have too many postcards from Cambodia and I think I've only received one written and stamped postcard from there before, in 2009 (which, weirdly enough, was an official Postcrossing card!). 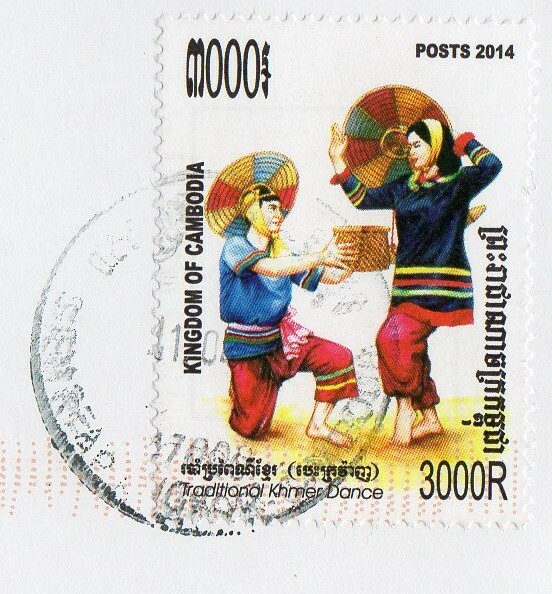 Anyway, Nina went on a holiday in Cambodia and offered to send a postcard. :) Thank you ever so much! Agriculture is the traditional mainstay of the Cambodian economy. Agriculture accounted for 90 percent of GDP in 1985 and employed approximately 80 percent of the work force. 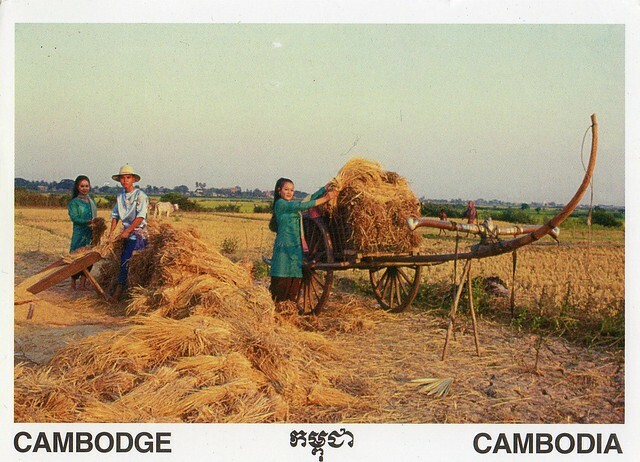 Rice is the principal commodity.